There’s some good news for small and medium sized business entrepreneurs who would love to expand their reach and scale up operations to attract global clientele. 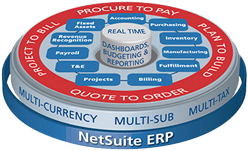 Netsuite Ecommerce a unique basket of web based applications designed to introduce you or amplify your presence in the online marketplace without compromising on your failsafe business practices. At Invitra we have been involved with e-Commerce projects right from day 1. We have created various stores using off the shelf products and also customized shopping carts for various clients. This experience of Invitra helps developing and designing world class e-Commerce stores on the NetSuite cloud platform. We have developed numerous e-Commerce stores for our clients on NetSuite site builder and Suite commerce platform and also have done complex customizations to suit client’s requirements. Invitra is a complete NetSuite web design, NetSuite programming and NetSuite consulting company. Our services include NetSuite e-Commerce solutions, NetSuite web design, NetSuite e-Commerce implementation and integration. NetSuite provides your e-Commerce store a comprehensive website hosting plan for your e-Commerce store, or you can hire an external company to host it separately but the bottom line is you derive benefit from dynamic database-driven content that ensures your store is always synchronized with the rest of your business like inventory, orders, etc. NetSuite e-Commerce platform also gives you flexibility to add keywords and key phrases to help you with your Search Engine Optimization (SEO). NetSuite helps you implement your e-Commerce store quickly and earn impressive Returns on your Investments (ROI). NetSuite platform has out of the box e-Commerce features and functionality and provides a robust but user friendly shopping cart experience for your clients. It helps you grow your business exponentially and also helps you improve you customer service. We build custom e-stores with an easy, intuitive e-Commerce experience specially designed for your target users and your business needs. NetSuite's Suite Commerce customer-driven model raises sales, accelerates the ordering process, eases smooth backend administration and makes website management through NetSuite easy and flexible. NetSuite e-Commerce platform has built in online payment merchants whom you can sign up with, which means you need not interact with any 3rd party merchant servers. 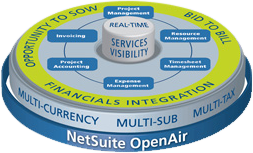 Currently NetSuite offers – CyberSource, e-Merchant server and PayPal as integrated online payment solutions. 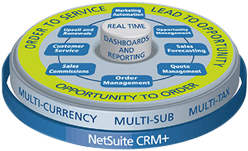 NetSuite has an inbuilt feature to manage B2C and B2B functionality. If you are looking for a professional and experienced NetSuite partner to help you design and develop your NetSuite e-Commerce website from your current system you are on the right website. Get in touch with us NOW and we will help you build a robust e-commerce store.